Beto O’Rourke sold an apartment complex he valued between $1 million and $5 million to a campaign donor shortly before running for Senate. The building needed significant interior improvements and the basement resembled a horror movie scene when Beto sold it, the current property manager told TheDCNF. The new owners plan to “cash in” by making the complex “Beto-themed,” the property manager said. Beto and his campaign donor have offered different explanations for how the sale came to be. 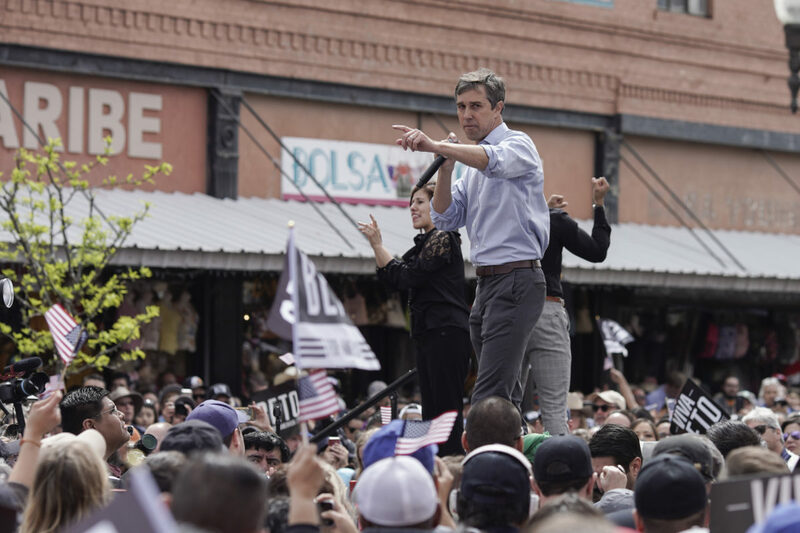 EL PASO — The month before he launched his Senate campaign against Republican Texas Sen. Ted Cruz, Democratic presidential candidate Beto O’Rourke offloaded an El Paso, Texas, apartment complex that he valued in financial disclosures at between one and five million dollars. The buyers were Patricia “Isha” Rogers and her husband, Steve Santamaria, public records show. Rogers is an old family friend and campaign donor for both Beto’s and his father’s political campaigns. O’Rourke and his mother became co-owners of the building following the death of his father, former El Paso County Judge Pat O’Rourke, in 2001. Federal Election Commission (FEC) records show Rogers donated thousands of dollars to each of O’Rourke’s three House campaigns, as well as to his 2018 Senate campaign. Rogers also donated $2,000 to Pat O’Rourke’s 1992 campaign for Congress. The apartment complex, then called Imperial Arms Apartments, was a fixer-upper when Beto sold it, the building’s current property manager told TheDCNF. He declined to make Rogers available for an interview. The complex needed significant interior work and had none of the several security cameras that now encircle the building when Beto sold it, the property manager added. The building, now called Saint Rogers Apartments, sits a 10-minute drive from the Bridge of the Americas port of entry connecting El Paso and Juarez. It doesn’t have a functioning website. The basement laundry room resembled a scene from the horror movie “Silence of the Lambs” when Beto sold the building, said the property manager, who expressed doubt that anyone would have wanted to use it at that time. The new owners renovated the basement, adding a window and a workout area after purchasing the complex, the property manager said. Local artwork currently hangs on the apartment walls, but that may change with Beto’s presidential campaign. TheDCNF’s reporter spent two nights at one of the complex’s 18 units, rented through Airbnb. The property manager volunteered the above information after TheDCNF’s reporter said he was writing about Beto and had chosen to stay at the apartment building because O’Rourke previously owned it. He provided further details in subsequent phone calls but asked that the story not refer to him by name. It remains unclear exactly how much Beto received for the apartment complex. Beto has refused to say, and Texas law doesn’t require public disclosure of sale prices on commercial real estate. County records show the El Paso tax assessor’s office valued the property a little below $1.1 million in 2018. In a phone call, the property manager said the new owners instructed him to not disclose the sale price to TheDCNF. Rogers and O’Rourke have offered different accounts about how the sale came to be in the first place. O’Rourke told The Washington Free Beacon that he talked to Rogers about selling the building complex after she expressed interest in it. But 18 months later, in October 2018, Rogers appears to have given a different account of the deal in an interview with El Paso lifestyle magazine The City. According to Rodgers, O’Rourke approached her about a possible sale, not the other way around, while at a party. “None other than our own prized U.S. Representative Beto O’Rourke approached them with an exciting offer. ‘I hear you’re buying apartment complexes,’ he said. The rest is history,” the magazine reported in a glowing profile of the refurbished apartments. Beto’s complex required fewer renovations than Rogers’ other commercial purchases, according to the magazine’s profile. The magazine’s owner is good friends with Rogers, the property manager said in a phone call. Several Beto for America staffers have expressed interest in living in the apartment building during the campaign, the property manager added. When first asked about the deal by the Free Beacon in April 2017, O’Rourke acknowledged that he had known Rogers “since we were kids” but said their relationship had no bearing on the deal. 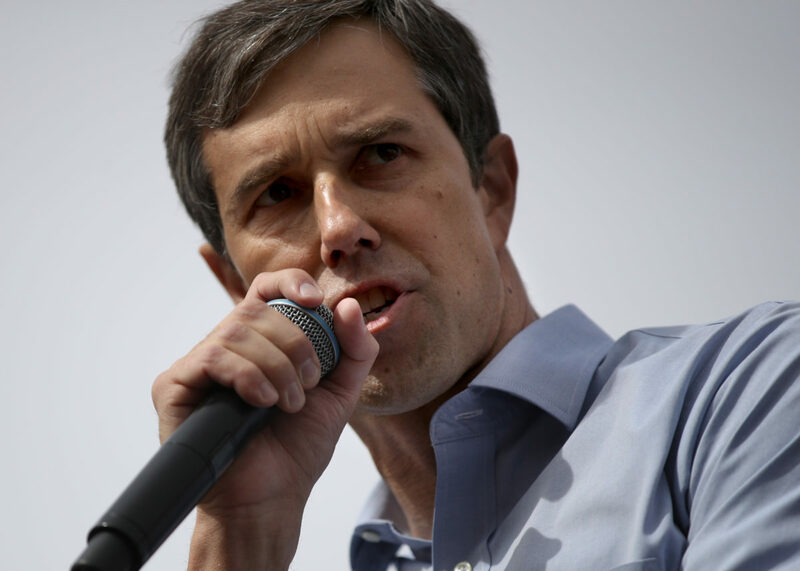 O’Rourke later downplayed the sale’s profits, telling the Associated Press in October 2018 that most of the money went towards renovation and paying off the mortgage. “What Amy and I took from that, it was maybe in the tens of thousands of dollars,” he told the AP. “It was not a money-making proposition for us,” he said. He reported between $100,001 and $1 million in capital gains (profits) from the February 2017 sale in his financial disclosure for that year, filed in May 2018. O’Rourke took out a $1.2 million mortgage on the apartment complex in 2012. He paid off the remainder of the mortgage in March 2017 according to public documents reviewed by TheDCNF. Beto for America declined to comment.